When you need an expert bookkeeper, Blanches Tax & Business Services is more than happy to help you! Tax preparation can be a chore. Blanches Tax & Business Services will make it simple and easy for you! 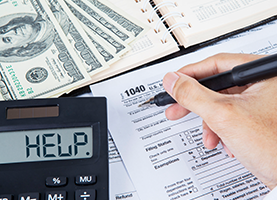 Blanches Tax & Business Services offers professional tax services in Hampton, VA. We can help you with tax filing, bookkeeping, and tax preparation. We know that taxes can be a chore, so why not hire us to take care of it instead? There are many reasons to go to a professional tax preparer, rather than attempting to tackle it on your own. We are able to find any tax loopholes or benefits that you may miss on your own. We approach every document with a keen eye, going over things multiple times as necessary. Many people aren’t up to date with the current tax laws, which can be extremely dangerous for your finances if you do not adhere to them. 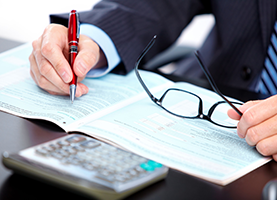 At Blanches Tax & Business Services, we stay informed about every law and regulation that affects your taxes. We are always on the lookout for ways to save you money, or mistakes that you may have made without realizing it. Think of us as your tax guardian angels! 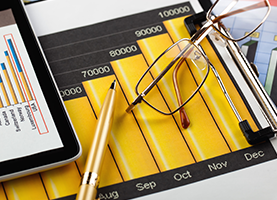 Bookkeeping can be a tremendous hassle. Recording every transaction, large and small, can take up an immense amount of time. When you hire us to take care of your bookkeeping, you can use that extra time to do the work you were actually hired to do! Whether you are self-employed, do freelance work, or are a manager at a mid-sized corporation, we can help! Take the stress out of tax season and hire us to keep on top of your taxes all year long. Let us at Blanches Tax & Business Services help keep you organized and on top of things. Discover what we can do today!